When you think of safety jackets, the first thing that comes to mind usually is an activity that has something to do with the sea. In this case however, safety jackets have been deemed a must in one of the driest regions in the country! 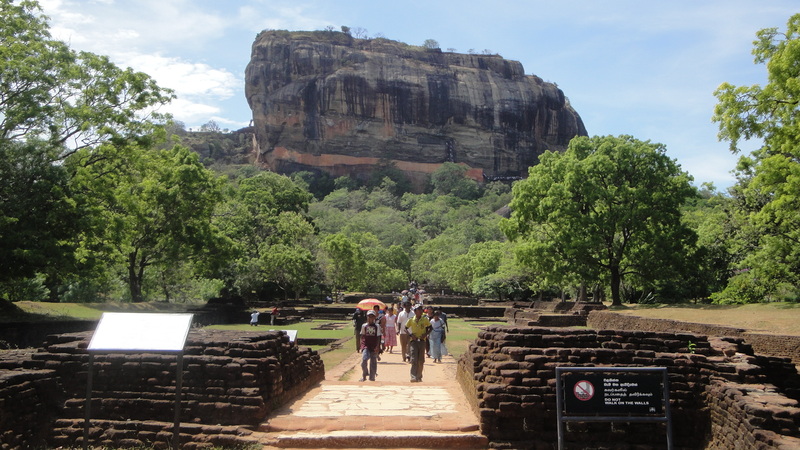 The Sigiriya Central Cultural Fund has made it essential for tourists to wear safety jackets if they wish to scale to the top of Sigiriya, one of Sri Lanka’s key landmarks and tourist attractions. According to the manager of the fund, the decision was taken after two children and a tourist had been injured in a wasp attack recently. Following the attack, only foreign tourists were allowed to proceed beyond the Lion’s Paw. Despite the sudden decision, there was a shortage of jackets to cater to all those planning to proceed beyond the halfway point due to many of the jackets having been sent to the cleaners. It is expected that the fund will bring in more such jackets to cater to all those wishing to climb the rock. The likelihood is that this will be only a temporary measure until the issue is dealt with. Wasp attacks have been an occasional menace in the past couple of years between April and September. This year has seen five severe incidents of wasp attacks – a much greater occurrence. According to Mr. Ranaweera, working director of the Central Cultural Fund, among common factors such as human activity and strong winds, the intense heat during existing drought conditions could have aggravated the situation. So don’t worry if you end up looking like a character from a sci-fi movie when you don the protective jackets, be glad you won’t look like an alien underneath! Check out what the safety jackets look like on this video off the Daily Mirror Website. Embark together with Jetwing Vil Uyana and the veterinary service provider Best Care are on a mission to make Sigiriya rabies free! of course all dogs. With many requests coming in from different parts of the world, we set out to conquer Sigiriya. and FBB (Fondation Brigitte Bardot) and partners with Best Care Animal Hospital as veterinary service provider. As with the other CNVR programs implemented by Embark during the past years, this project also follows internationally accepted CNVR methodology. Please comment on the above album and share the same with your friends and family! I have to express apterciapion to the writer for rescuing me from this scenario. As a result of surfing around throughout the the net and finding suggestions which were not productive, I was thinking my life was gone. Existing without the presence of solutions to the issues you have sorted out by means of your good article is a serious case, and ones which might have negatively affected my career if I hadn’t discovered your blog. Your actual training and kindness in taking care of a lot of things was valuable. I am not sure what I would have done if I had not come upon such a stuff like this. I can also at this point look forward to my future. Thank you so much for your specialized and sensible guide. I will not think twice to recommend your site to anyone who requires support about this matter.